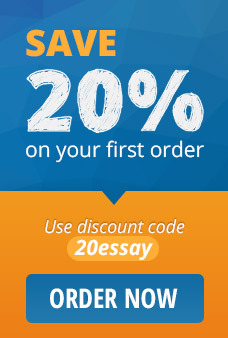 The main purpose of an essay outline is to help you organize your ideas and information when writing an essay. You can write your essay without an outline, but the effect would be similar to a construction worker trying to “free-build” a house. You need to have at least a rough idea of what your essay will look like before you start writing it. Drawing up an essay outline allows you to think about your ideas, figure out their connections and decide the organization of the paragraphs and every element of the essay, before you put everything on the paper. Following are few guidelines to help you better arrange the ideas in your essay. First make sure that you’ve understood absolutely every requirement given by your instructor on what you are supposed to write about. Make sure that the topic you select for your essay is appropriate to the assignment. When writing the essay outline, think about your thesis statement and the points you are trying to make with it. Try to narrow the subject, mix in your personal viewpoint on the matter, and draft a key sentence to introduce your readers to the subject of the paper. Once you have your topic decided, draft three to six main ideas for your essay, carefully considering the key point you need to make with the essay. For each main idea search for examples and proofs within your text or from other secondary sources to support your topic. Detail these ideas and proofs into the body paragraphs of your essay outline. Same as your essay, the outline should also end with a conclusion that confirms your initial thesis statement stated in the introduction paragraph. Instead of just repeating the words try to relate the thesis to something beyond the scope of the essay, like explaining how the subject is relevant, how it fits into the broader picture of the society, humanity, government, science, personal relations, etc. Restate your main ideas using different words, discuss the implications, propose solutions and end with an impact.